A robotic surgical technique which allows the accurate removal of cancerous tumours from the kidney has been performed for the first time in the UK at St George's Hospital. 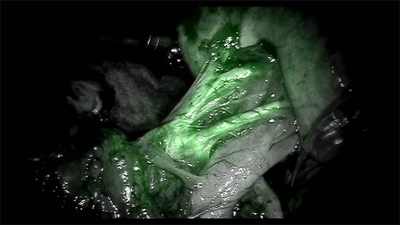 It uses an injected dye showing up as flourescent green, hence the firefly nickname. 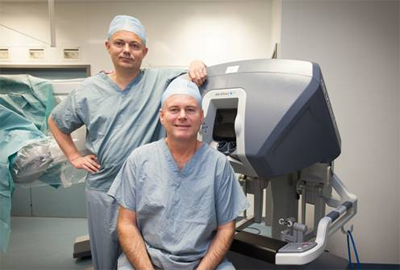 Image shows Chris Anderson (right), consultant urologist at St George's Healthcare, and Professor Alex Mottrie, a worldwide expert on partial nephrectomy who performed the procedure. 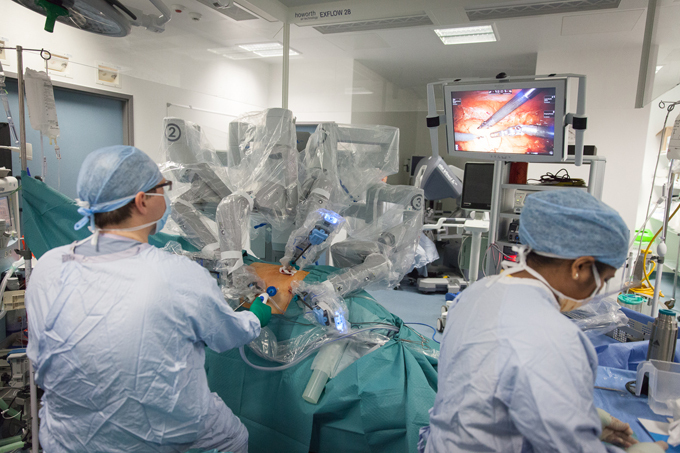 The minimally invasive procedure used the new da Vinci robot. For more details please see the St George's website.